Thinking Strategically About Your Organization’s Future? We help organizations put together powerful learning solutions that create value and achieve results. prestigiuos Training Conference around the world. See Beyond Ordinary... Find Simple Solutions for Complex Training Problems. tasks that are instantly relevant to everyday business life development. We help you measure critical learning metrics so you can make faster, better-informed decisions. 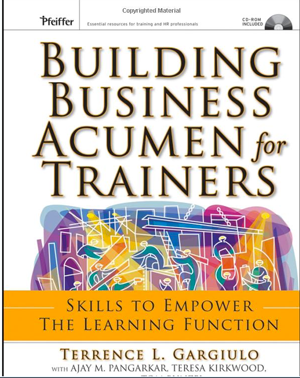 Because most organizations fail to align strategy and operations with their learning needs. With CentralKnowledge, we show you how to do it RIGHT! We work with the management team of leading global organizations to plan, align, and execute learning strategies that drive real strategic change. As experts in management, strategy execution, and Balanced Scorecard. Our team can help you build a strategy-focused learning organization that’s proves results. The Training Industry Readership Award honors 10 of the most-read articles published on TrainingIndustry.com and Training Industry Magazine from the past year. 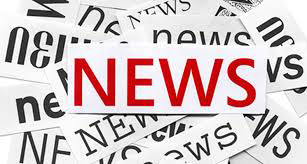 The nominees were selected based on readership appeal and attention, and act as a barometer for what is trending in the marketplace and the topics that are most important to TrainingIndustry.com readers. Meet Multi Award Winner and Publish Author & Expert Ajay Pangarkar in Person! See his Up Coming Speaking Dates- Don't Miss them! Speaker Presenter: Ajay M. Pangarkar Turning Strategy Into Action- Septmeber 30, 2015 9:00-12:00am Research has shown us that many companies fail at operationalizing their strategy. They fail not because they are weak and not well defined, but because they are not successfully implemented. Speaker Presenter: Ajay M. Pangarkar Hands On Clinics C203: Measuring your Learning Strategy Thursday Oct 8, 2015 You’ll team up to work through a case study of a fictitious company and will complete the learning and growth component of a “balanced scorecard,” ensuring your learning strategy completely aligns with the company’s existing scorecard metrics and established strategic objectives. ATD Conference Reinforces Need for L&D Professionals to Demonstrate Business Value The Axonify crew just got back from the ATD Conference in Orlando, Florida. 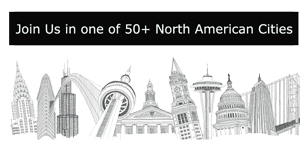 We were there to speak, exhibit and participate in conference sessions over the past week. "My favorite was a presentation by performance strategist and author, Ajay Pangarkar. The Axonify crew just got back from the ATD Conference in Orlando, Florida. CentralKnowledge training consulting process implements techniques for rolling out training programs using our proven instructional design consultant and elearning consultant services. We are committed to designing and deliever training programs focused on developing knowledge, skills and attitudes, in addition to promoting the implementation of monitoring and measurement techniques that will lead to the achievement of company objectives while mobilizing the potential of the human resources involved in our programs. We do not train for the sake of training. We train to create change. Unsure about the best strategy to achieve your training objectives? No problem — our experienced Learning Strategist will help you design an online or offline training strategy adapted to your needs. Percentage that the Kirkpatrick Model is Used! Is a strategic performance management framework that has been designed to help an organisation monitor its performance and manage the execution of its strategy. Covers the intangible drivers of future success such as human capital, organisational capital and information capital including skills, training, organisational culture, leadership, systems and databases. 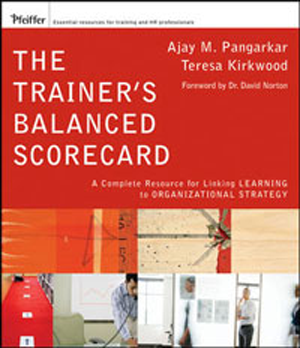 More than half of major companies in the US, Europe and Asia use the Balanced Scorecard approache. Organisations that use a Balanced Scorecard approach tend to outperform organisations without a formal approach to strategic performance management. A recent global study finds that the Balanced Scorecard is one of the top-ten most widely used management tools around the world. 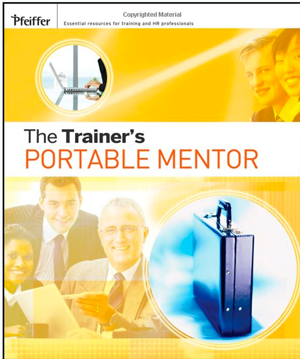 Training & Development Australian AITD Magazine- Creative Leadership Published Article: Do you have what it takes to be a trainer? for Upcoming Conferences. We Speak all over the world! In this Video he will discuss Why Top Level Management Don't Value Training Employees. Ajay is an outspoken thought leader on the subject of learning. He provides valuable insight and solid facts on the rights and wrongs on the learning industry that we are all passionate about. Ajay never shys away from the hard topics or facing his critics. He's expertise and approach is based on facts and not fiction. Our Performance Strategies expertise will maximize the global success of your business!